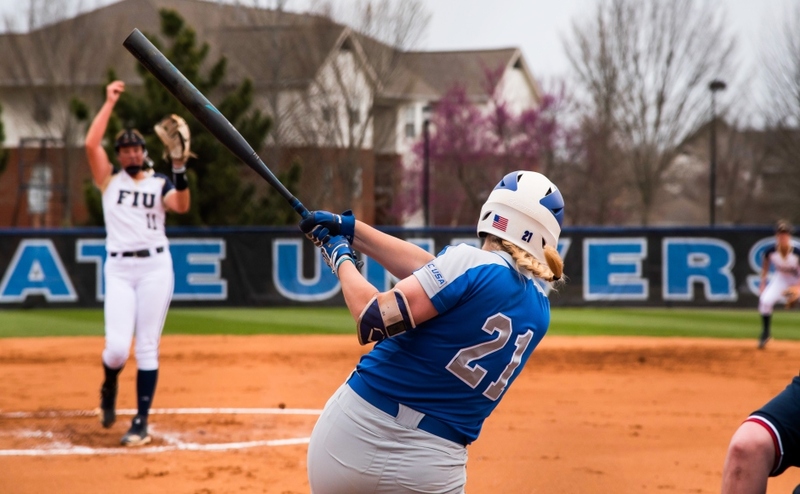 Middle Tennessee Softball (1-1) started the season splitting two games against No.15 University of Tennessee and Georgia Southern Eagles in Statesboro, GA. 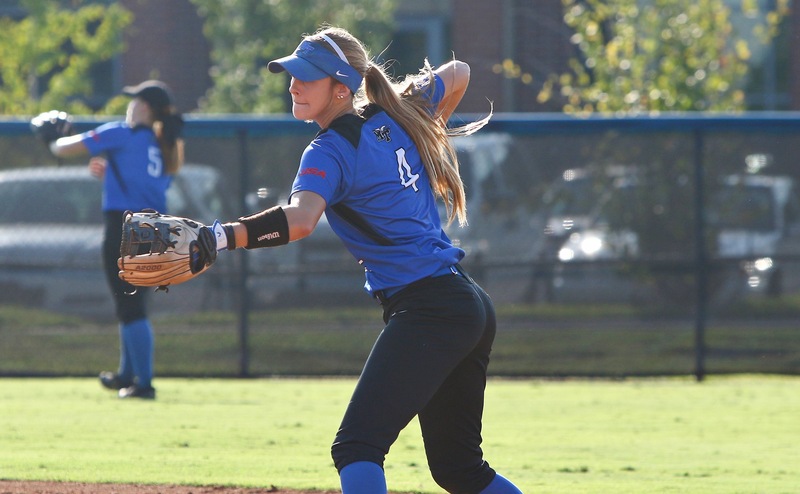 Junior Cori Jennings got the start on the rubber for the Blue Raiders. She pitched 5.2 innings, allowing seven hits, three earned runs, while recording two strikeouts. Veronica Westfall closed the game for MT, pitching 0.1 innings, giving up two hits and one run. Jennings kept the Lady Vols scoreless for 5.1 innings until the Lady Vols scored the first run of the game. That opened the floodgates for UT as they scored three more runs to win the game 4-0. The Blue Raiders had little time to rest, as game two was against the host of the tournament Georgia Southern Eagles. 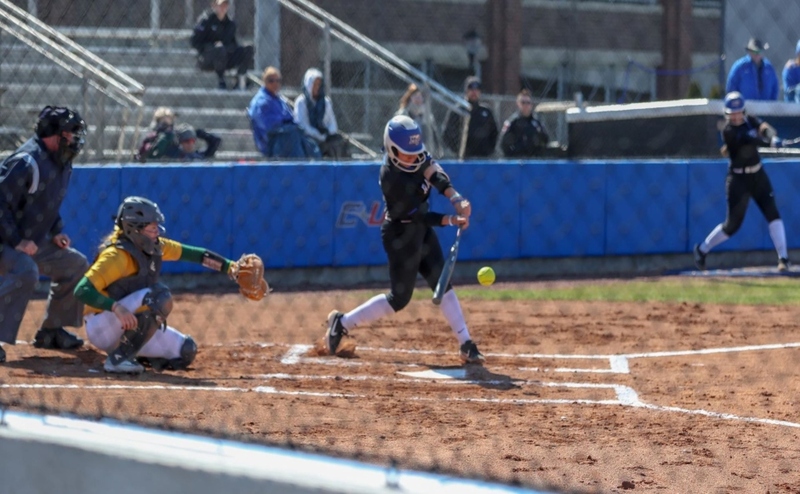 Junior Gretchen Greer started for Middle Tennessee and pitched all seven innings, giving up nine hits, three runs, and two walks. She also recorded five strikeouts. The Raiders came out strong with a big hit from senior Austyn Whaley, driving in two runs. Precious Birdsong had two stolen bases, followed by Summer Burgess with one of her own in the first inning. The third inning had the Raiders scoring five runs with hits by Whaley, Lexi Cushing and Morgan Harris. 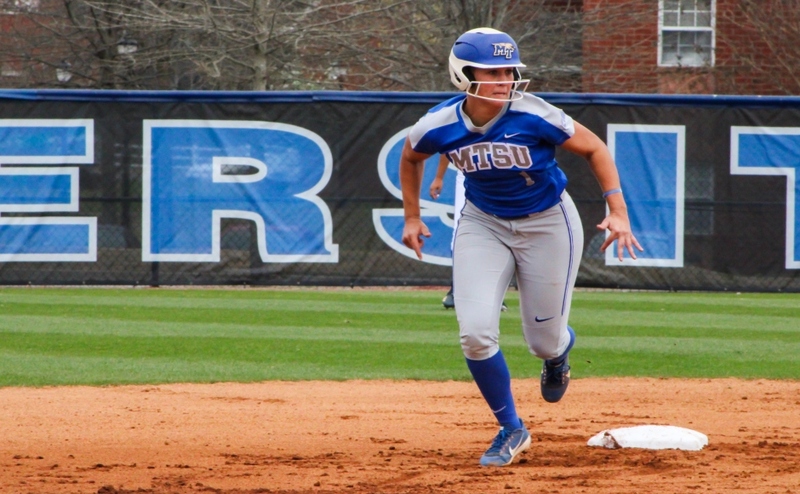 The Blue Raiders also took advantage of some mistakes by Georgia Southern, as Birdsong scored a run on a wild pitch and Whaley scored an an Eagles error. In the bottom of the third, Georgia Southern scored on a double to right center to make the score 7-1. One inning later, a home run by the Eagles notched the score 7-2. In the sixth inning, freshman Kaylyn Slatter gained her first collegiate RBI on a sacrifice fly to bring in pinch runner Lauren Payne to make the score 8-2. Burgess, a freshman, also got her first career RBI as she brought in Payton Grove to make the score 9-2. The Eagles would score once more run, but the Raiders held on and won the game by a score of 9-3. Greer was awarded the win on the mound while Whaley went 2-for-3 with a double and three RBIs to lead the team on the bats. Birdsong went 2-for-3 as well with two singles. 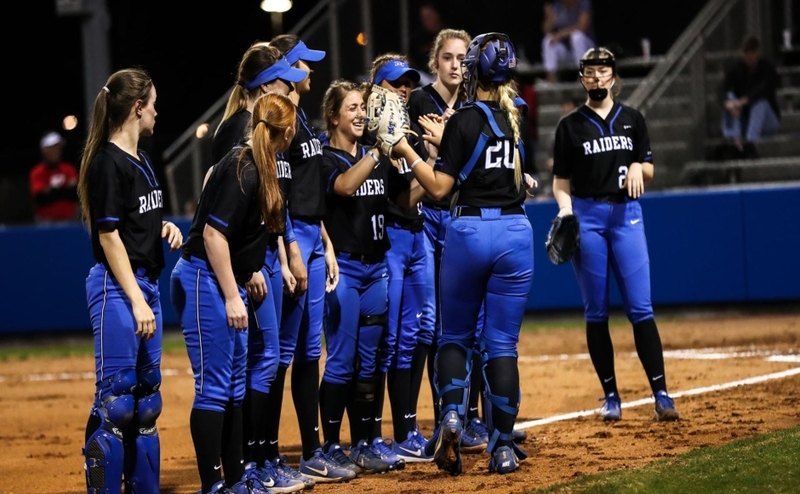 The Blue Raiders will be back in action against Tennessee Tech at 12:30 on Saturday and will end the tournament on Sunday with two matchups against Tennessee Tech and a rematch with Georgia Southern.